Heart-pounding and graphic, this action-packed film pits FBI agent Paul Smecker (Willem Dafoe) against a pair of Irish brothers (Sean Patrick Flanery and Norman Reedus) out to rid the world of evil – starting with the Russian mob. But as the brothers brutally take on Boston's underworld, Smecker finds himself torn between busting the vigilantes...and joining them! I must say... I really enjoyed this one. 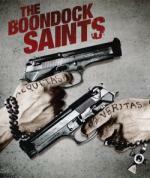 Lots of great action and a really good story to go along with it, Sean Patrick Flannery and Norman Reedus did a wonderful job as the MacManus brothers and Willem Dafoe did a great job as well in a roll much different then I ever seen him in before. And I must say he (as well as all the cast) looked like they had a real blast with this one. This is one film I will be recommending to my friends and family. Now I just need to add part 2 to my collection to go along with this one. Hopefully sooner rather then later! Jennifer Love Hewitt and Sarah Michelle Gellar star with Ryan Phillippe, Freddie Prinze, Jr. and Johnny Galecki in this terrifying tale of a body that just won't stay dead. 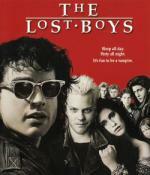 After an accident on a winding road, four teens make the fatal mistake of dumping their victim's body into the sea. Exactly one year later, the dead man returns from his watery grave, and he's looking for more than an apology. Celebrate martial arts legend Bruce Lee's final film with this Ultimate Collector's Edition Blu-ray™ Giftset! Sent to an exotic island by his government, a spy (Lee) competes in a deadly tournament by day and infiltrates a ruthless crime lord's illegal drug operation by night. 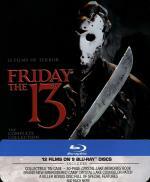 With plot twists, exquiste cinematography and bone crushing fight scenes choregraphed by Lee himself. 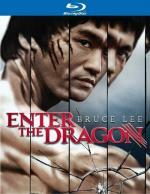 Enter the Dragon remains cinema's most influential martial arts action film. Now, the pulsating power of this iconic film is even greater in this remastered high-definition version, presented here with collectible extras an never before released special features. It has been many years since I watched any Bruce Lee movie let alone this one. And I must say I enjoyed it quite a bit. I forgot how fast that man actually was. I really enjoyed the story and there is plenty of martial arts action. This is one I definitely recommend. Well worth the time put in to watch it. 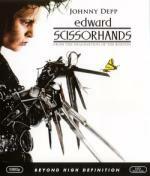 In this modern fairy-tale film directed by Tim Burton, Edward (Johnny Depp) is a gentle, naive creation with razor-sharp scissors for hands. When he is taken home by a kindly Avon lady (Dianne Wiest) to live with her family, his adventure in the pastel paradise of Suburbia begins! It has been quite a while since I seen this one... but been wanting to every since upgrading to the blu-ray a couple months ago. Being a Tim Burton film it is definitely a little on the different side... but in a good way. 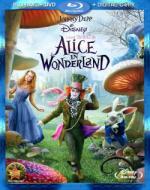 I think Johnny Depp did a fantastic job in the title role... really so did the entire cast. Which has many familiar faces. In my opinion this one must be seen at least once. So definitely recommended. Tommy Lee Jones and Will Smith are back in black as the scum-fighting super-agents Kay and Jay – regulators of all things alien on planet Earth. Their latest mission: to save the world from a total intergalactic disaster! Much like the first film... this one is a lot of mindless fun. Though I do think the first one is a little better. I just don't think the over-all story line was quite as good. It was still good to see these two together.... as they make a good team. Definitely recommended... especially if you liked the first one. I felt that they did a wonderful job with this film. It felt realistic and I must say it broke my heart (and kinda pissed me off) seeing how much trouble the mother had accepting the idea her daughter is a lesbian. To me a parent should be , happy and safe. Sure it means they are going to have a tougher time in life. I am not blind... I can see that. But it is a parent's job to help their child through the tough times in their lives...not add to them. Anyway, I enjoyed every moment of this movie. Despite it being pure drama (not a favorite genre). Well worth the time put in to watch it. This one is definitely an entertaining...if not a bit weird film. But hey this is Tim Burton we are talking about.If nothing else it is visually stunning. This is definitely one I would recommend. 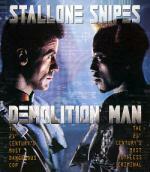 Sylvester Stallone and Wesley Snipes go at it amid a dazzling cyber-future in this explosive hit. In 2032 archcriminal Simon Phoenix (Snipes) awakens from a 35-year deep freeze in CryoPrision to find a serene, nonviolent Los Angeles ready for the taking. Unable to deal with Phoenix's brutal 1990s style, officials seek an old-fashioned cop to fight old-fashioned crime. They revive Sgt. John Spartan (Stallone), unjustly serving a CryoPrison sentence because of his last encounter with Phoenix. Sandra Bullock, Benjamin Bratt and Denis Leary also play rough and tough in this "terrific mix of action and humor" (Joel Siegel, Good Morning America/ABC-TV). This is the first movie I became aware of Sandra Bullock in. 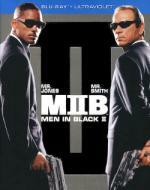 To me this is just a fun movie... it is a good mixture of comedy and action. A movie I have enjoyed watching countless times. Sure it is far fetched... pretty much have to suspend believability... but I think as long as you can do that you can definitely enjoy this movie. I thought Sandra Bullock was hilarious in this movie... but of course Stallone and Snipes were also good. This movie reminds me a bit of my childhood. A simpler time. A time when you could go out and play... exploring the neighborhood without your parents having to worry where you are every minute of the day. Something that just don't seem to exist anymore. 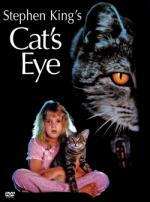 Though the setting of this movie is well before my time... it still made me think of the simpler times when I was at that age. So much has changed since then. Unfortunately not for the better. The movie is a really good drama with just enough lightheartedness to off set it from becoming to dramatic. I especially got a kick out of when the kids out on their adventure had to cross through a lake in the woods. Coming out the other side discovering they were covered in leaches. This is definitely a film I would recommend... well worth the time put in to watch it.